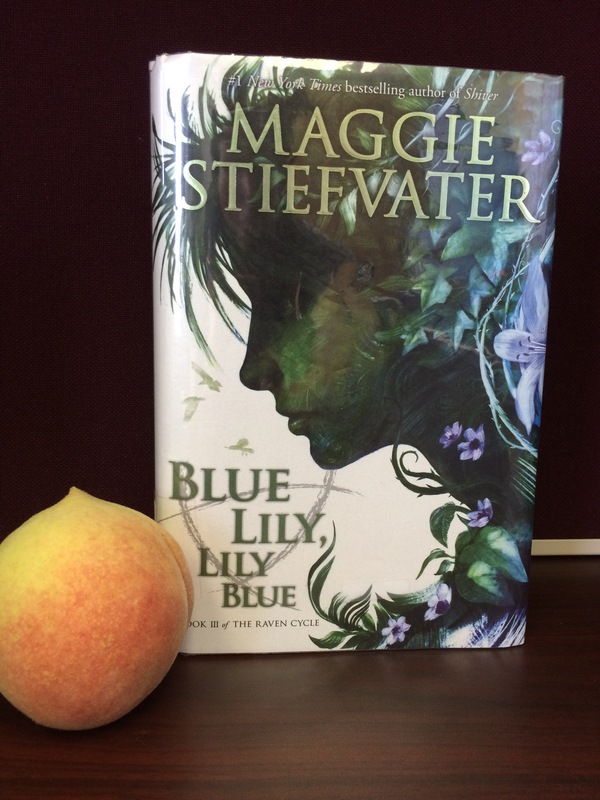 About: Blue Lily, Lily Blue is a young adult fantasy written by Maggie Stiefvater. It was published in 10/21/2014 by Scholastic Press, 391 pages. The genres are fantasy, paranormal, young adult, and magic. There are 4 books in The Raven Cycle series: 1. The Raven Boys, 2. The Dream Thieves, 3. Blue Lily, Lily Blue, and 4. The Raven King. This book is intended for readers ages 14 and up, grades 9 and up. According to the publisher’s website, “Scholastic was founded in 1920 as a single classroom magazine. Today, Scholastic books and educational materials are in tens of thousands of schools and tens of millions of homes worldwide, helping to Open a World of Possible for children across the globe” and their mission is to “encourage the intellectual and personal growth of all children, beginning with literacy.” Please see below for more information about the publisher and author. My Experience: I started reading Blue Lily, Lily Blue on 8/2/16 and finished it on 8/7/16. This book started out interesting. The story surrounding Lily is not what I was expecting. The writing is still great but I feel more lost about the plot than ever. It would have been great if the characters could share with readers their strategic planning steps to finding what they are looking for. There were a few new characters introduced into this book and they brought some new mystery into the story. The covers in this series are too amazing! I need to read this series again and hopefully understand better. I rate it 4 stars! Maggie Stiefvater is the #1 New York Times bestselling author of the novels Shiver, Linger, Forever, and Sinner. Her novel The Scorpio Races was named a Michael L. Printz Honor Book by the American Library Association. The first book in The Raven Cycle, The Raven Boys, was a Publishers Weekly Best Book of the Year, and the second book, The Dream Thieves, was an ALA Best Book for Young Adults. She is also an artist and musician. She lives in Virginia with her husband and their two children. You can visit her online at http://www.maggiestiefvater.com. (Photo obtained from Goodreads and Info obtained from Scholastic’s Website). Thank you for this honest review, I’ve been wondering whether to read this series for a long time, hearing mixed reviews on it constantly! I think I’ll give this series a pass for now, maybe borrowing the first from the library just to see if I enjoy it or not. This blog has been so helpful! I always prefer to research a book before I read it, because then when I can be sure I’ll enjoy it! A nice, honest review. Something’s kept me away from this series, and I don’t know what. I liked the Shiver series. But this one seemed a little weird to me, I’ll just have to put it on my mental “maybe” list. Thanks for the heads up! The Shiver series doesn’t get any hype at all. I don’t see anyone review it. I read this raven cycle series because everyone seems to read it and there are a lot of 5 stars. I think they rate 5 stars for the covers and the characters but the main plot is just plain weird. That’s what it seemed like to me: I read the blurb for this series and I was like, “what?” Yeah, Shiver gets ripped apart and I loved it. Sam was so sweet and the love was so pure. No triangles, just trying to be together. Have you read it? No, I haven’t. It will be on my list to read though hehe Would you rate the books 5 stars or 4? 4…they’re good, but there not AWESOME. But they’re good. I am usually pretty careful with my five stars…memorable books, though it was a close call. Probably 4.5 if we could just do half stars! Lol.